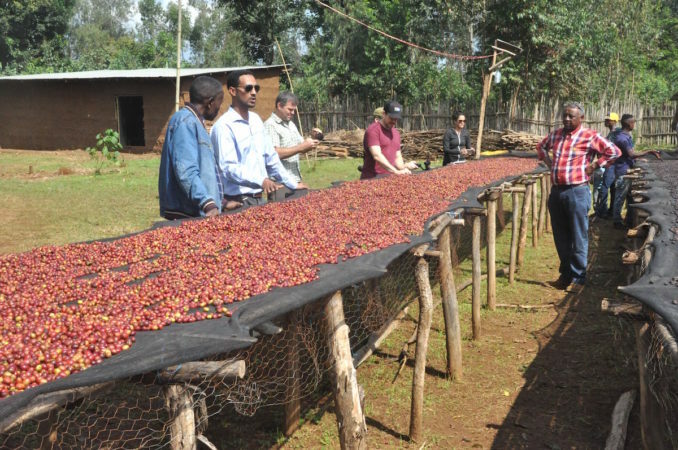 In Ethiopia’s Oromia region, Guji is a southern zone, snug up against Sidamo and Yirgacheffe, which are across the border in the SNNPR (the Southern Nations, Nationalities and Peoples’ Region). 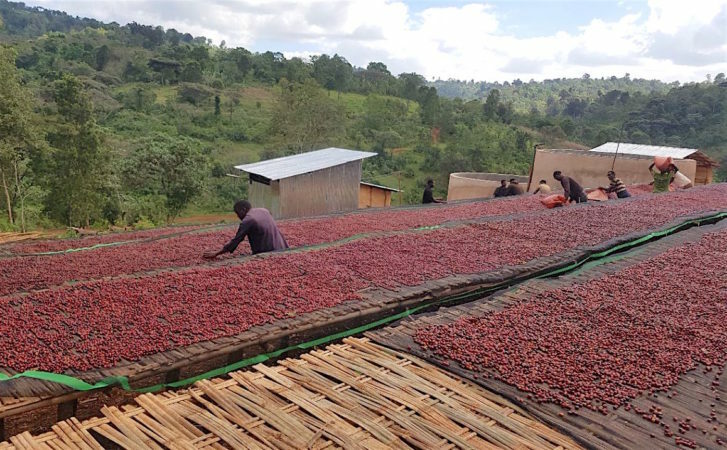 This coffee comes via Sibu Coffee, a family-owned business that was established in 2014, though the family has more than 20 years of experience in coffee, working in domestic supply to the central auction. Kedir Hassen, Sibu’s current general manager, used to collect coffee from farmers in the central markets and deliver them to the coffee auction. 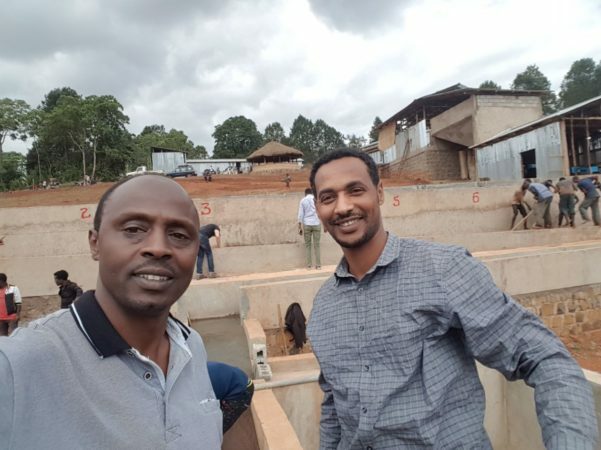 Today, Sibu owns three washing stations—two in Karcha Guracho and one in the village of Hambala Damedabaye—and works directly with farmers on a number of agricultural practices. Focused on improving cup quality and crop sustainability, these practices include seed selection, planting specifics and harvest and post-harvest management. They also provide nursery and farm support. 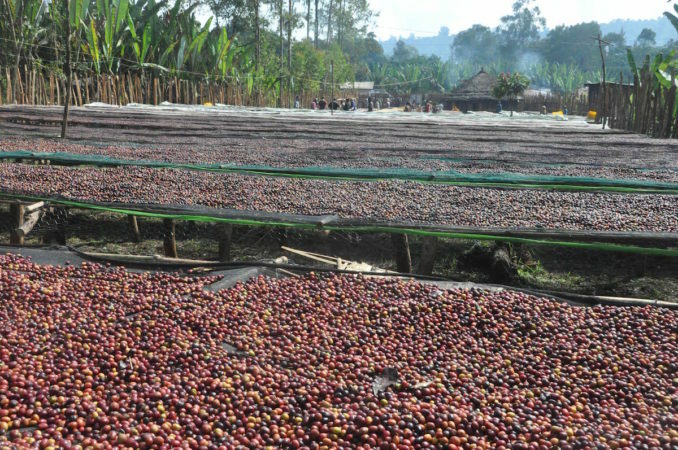 Sibu Coffee both owns its own farm and works with approximately 3,000 farmers in the area; 300 farmers contributed to this coffee. Guji Coffee is shade grown in soil that’s rich in nutrients; leaves from the shade trees fall and become compost, and coffee pulp is returned to the farmers to be turned into compost. Cupping notes (7/10/18): Notes of blueberry, pomegranate and dark chocolate, plus a bright, winey acidity, silky body and pronounced, clean finish.